Protect men, women and children from the winter cold. Steve knows what it’s like to be without a warm place to live during cold and snowy weather. This winter, Steve is at the Mission. He has found a warm and safe place to live, surrounded by staff and volunteers who care about him. He has learned new skills and is growing in his faith in God. He is working to build a better life. Today, Steve is thriving and grateful for the help people like you once gave him. He shows that gratitude by helping others find the same help and hope. 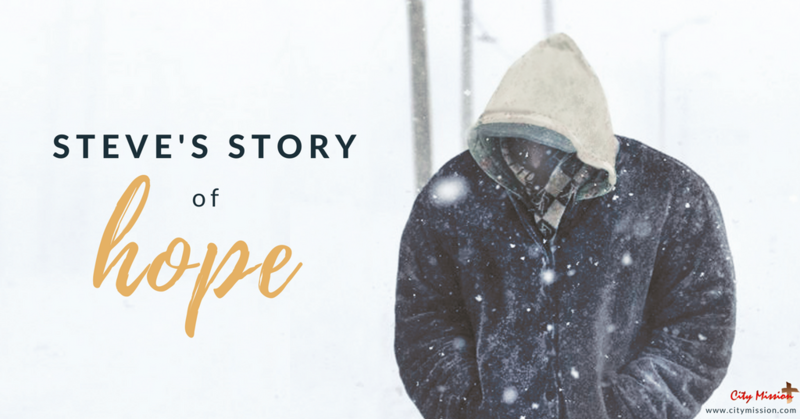 Thank you for helping people like Steve stay warm and safe this winter. Thank you for making a difference in our community this winter!